The Hertz Corporation has launched its new corporate identity program, including a new logo. The corporate identity program will include the introduction of a series of innovations to enhance the customer’s rental experience and will be rolled out at key rental locations, as well as internal and external communications, worldwide. As part of Hertz’s commitment to refine the rental car experience a variety of new innovations will be introduced over the next 12 months. The first two innovations, slated to go live during the first quarter of 2010, will be application introductions for both iPhone and BlackBerry® smartphones. The free applications will allow Hertz customers to access the Hertz mobile site from their iPhone or BlackBerry smartphone to make reservations, search and find nearby Hertz locations, save favorite locations and receive special promotions. Hertz #1 Club and #1 Club Gold members will have the option of saving their member number to further simplify the booking process. And, the applications have been developed so that users can book a reservation using a member number as well as the favorite and nearby location functions. 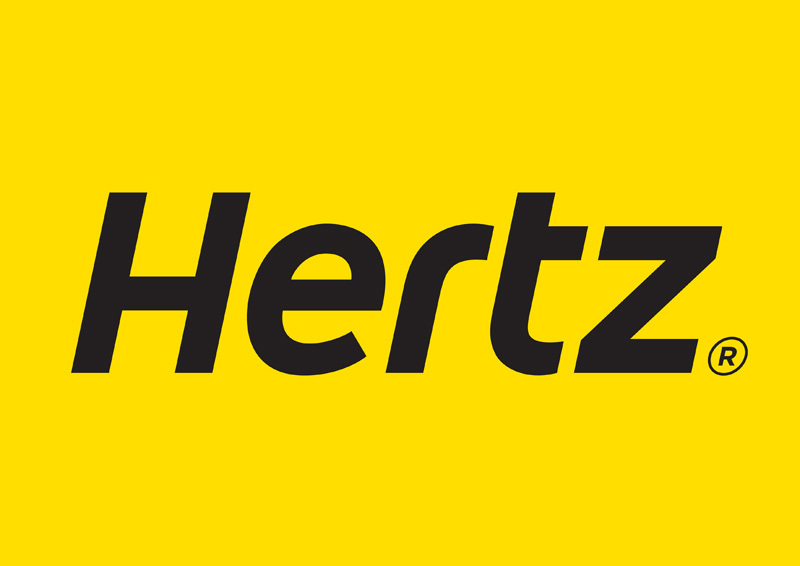 Hertz’s new logo leverages our signature yellow color, signifying the Company’s 91-year legacy of service and innovation. With a contemporary look, the logo also symbolizes Hertz’s commitment to remain relevant to today’s car and equipment rental customers, by creating personalized customer experiences which exemplify optimal value — the highest quality delivered globally at the lowest possible cost. As part of its rebranding, Hertz is also updating its worldwide facilities, including on-and-off-airport Rent-a-Car and equipment rental locations consistent with the corporate identity. With an emphasis on customer-friendly technology, Hertz facility redesign will incorporate multiple media channels, including leading-edge LCD displays to replace most fixed signage. The facility redesign project has commenced at larger rental locations and headquarter offices, and will affect facility interior, exterior and signage, as well as employee uniforms. In 2009, newly branded facilities will begin appearing in Atlanta, Chicago, Frankfurt and Shanghai. Hertz engaged multiple resources to assist in designing each of the corporate identity touch points, including Landor Associates, one of the world’s leading strategic brand consulting and design firms, who redesigned Hertz’s visual identity, and Iris and Leibowitz Gould Design to implement the changes to the Hertz properties.